Preparation for the 25th season of horse racing at Canterbury Park, which begins May 3, is well underway. Officials recently announced enhanced incentives to lure trainers and owners with race-ready Thoroughbreds to the Shakopee, Minn. racetrack by offering programs that will reward those that arrive and start horses early in the meet, pay more purse money to all starters throughout the 66 days of racing, and help with costs of shipping through a loan program. Last fall an intense and comprehensive main track renovation took place, returning the one-mile dirt oval to its original specifications. Two key hires were also made with track superintendent Johnnie Jamison and racing secretary Matt Crawford. In January, a $2.235 million stakes schedule was unveiled. The first condition book, listing races to be run through June 2, is now available. Total purses are projected to exceed $14.25 million, with a per-day average of approximately $215,000. Stall applications are also available. 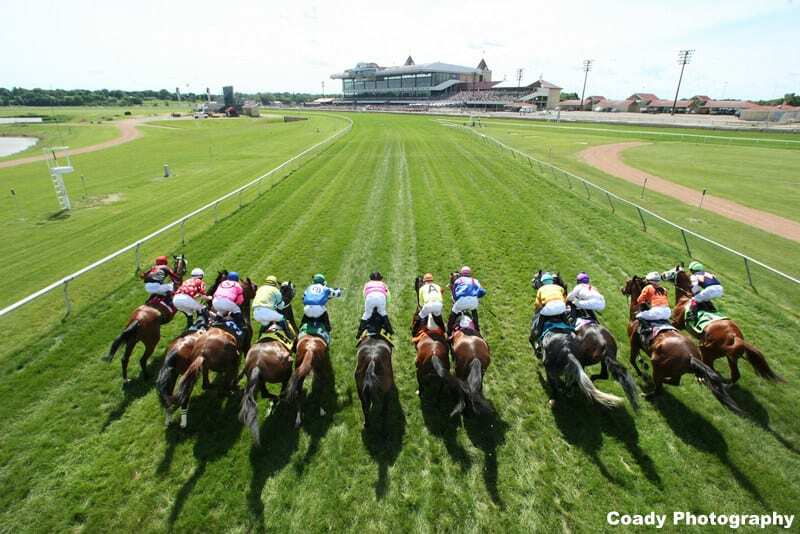 Racing officials and members of the Minnesota Horsemen's Benevolent and Protective Association, which represents all horsemen racing at Canterbury, worked together to again make funding for this starter incentive program available. Incentive #1 – $250 Guaranteed Thoroughbred Purse Payment in Overnight Races During the 2019 Racing Season. In 2019, every thoroughbred starter in all overnight races will be guaranteed 1% of the purse or $250, whichever is greater with the intent of providing purse money to cover a greater percentage of race-day costs. Incentive #3 – $250,000 Canterbury Park Shipping Loan Program. Canterbury Park will again offer a shipping loan program to qualified applicants who arrive prior to the start of the 2019 racing season. Shipping loan applications will be due with stall applications and will be reviewed by the stall allocation committee. Upon review, the committee will authorize up to $25,000 per owner to cover the cost of horse transportation to Canterbury Park. The loan will be repaid through an agreement between the successful applicant and Canterbury Park. Full terms and conditions are available with the 2019 stall application. Canterbury Park stall applications are due Monday, March 18. All forms pertaining to Canterbury Park's 2019 race meet, including full terms and conditions of the Starter Incentive Program, and minimum purse payments pertaining to quarter horses, can be found online at www.canterburypark.com/horsemen . The stable area opens for training in April. This entry was posted in NL List, The Biz and tagged canterbury, canterbury park, condition book, johnnie jamison, matt crawford, minnesota, minnesota horsemen's benevolent and protective association, Randy Sampson, shipping loan program, starter incentive, starter incentives by Press Release. Bookmark the permalink.